Ecuador, the world's shining light for copper prospects, aims to more than double the value of mining to its economy by 2021 and is seeking more joint venture partners for its state-owned mining company, a senior government official said on Thursday. Ecuador is being hailed as the biggest potential new source of supply of the metal used in renewable energy. Copper is number 1 on every miner's must-have list but is increasingly more difficult and costly to find. 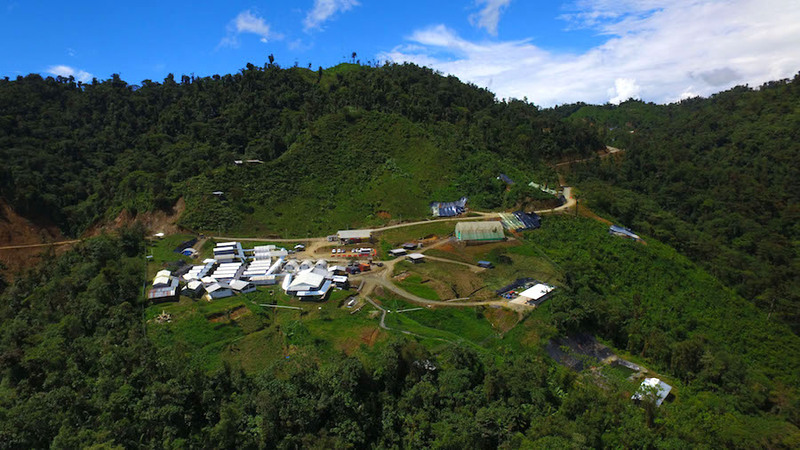 Ecuador has five mines in development, four of which are expected to be in operation by 2021, and has seen several big names take up residence in the past 18 months. World number 4 iron ore miner, Australia's Fortescue , has also set up shop in Ecuador, which is expected to be a major focus of the $100 million it commited to exploration this year. "One key strategic goal for us is that mining by 2021 before the end of this government is going to increase to 4 percent of our GDP from 1.55 percent today," Fernando Benalcázar, vice minister for mines, told Imarc mining conference in Melbourne. Ecuador has been working to make itself more attractive to miners, having abolished a windfall tax in August, and is refining its legal framework around mining investment as it seeks partners for joint venture projects with state miner Enami, he told Reuters later. Enami and Chilean state miner Codelco in coming weeks will officially announce an agreement to jointly develop one of Ecuador's top copper deposits, Llurimagua, for which Codelco has already spent $40 million on exploration, he said. "We own the asset, we facilitate the process, they (Chile) are the investors." So far, 318 million tonnes of mineralised rock at 0.7 percent copper have been identified, Benalcázar said. Ecuador is also touting for other partnerships. "What we are looking at is opening joint venture opportunities for any large, well structured companies," he said, warning that miners must meet strict environmental criteria. First production by China copper producer Tongling , which has a 70 percent stake in the Mirador copper project, has been delayed after Ecuador found "several non-compliant issues" around waste water management and a proposed tailings dam. "Things needed to be changed and they are totally open to change," he said. "It will probably be delayed for another additional quarter at least because of this issue." Tongling did not immediately respond to a request for comment.